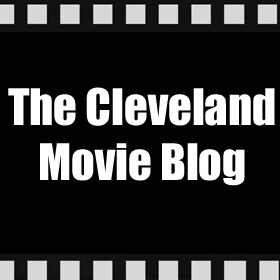 I'm not big on tooting my own horn, but I did want to acknowledge that the Cleveland Movie Blog reaches its first anniversary today. I started this blog with the intent of reviewing as many of the films playing in the Northeast Ohio area as possible while also giving some attention to area filmmakers and events. I think we've done that for the most part, and I'm especially proud of the fact that we cover a large number of the films playing at the Cleveland Cinematheque, The Cedar Lee Theatre, and the Capitol Theatre, some of which have not been reviewed in traditional print outlets. Of course I always want the Blog to do better, and even when it's only something like JUSTIN BIEBER: NEVER SAY NEVER that opens and closes without one of our writers offering their two cents, I still feel bad about not covering it. I have definitely not done this all on my own. From the beginning we've had a great staff of writers contributing to the Cleveland Movie Blog. Charles Cassady, Jr. and Pamela Zoslov have been here from the start, and without their contributions this would be a far less interesting blog. Same goes for Pete Roche, who has been here almost as long. Rounding out our current crew is recent addition Matthew Finley, who in just a short time has made me jealous with his writing skills. Big thanks also to our former and occasional contributors Eddie Fleisher, Andy Kaiser, Chip Karpus, Ben Lybarger (who may return in the future, I hope), and Jeff Niesel. Big thanks as well to John Ewing and Tim Harry at the Cleveland Cinematheque, Dave Huffman at Cleveland Cinemas, and all the reps and staff at The Owens Group and Allied Marketing for making sure we can see most of the films we cover in advance of their release dates. And of course, extra special thanks to everyone who stops by to read the blog. I hope you've found the reviews here useful and entertaining, even the ones you didn't agree with. By the way, if you want to get us a birthday present, I can't think of anything better than for all of you to tell at least one friend about us. Congrats Bob and everyone at this blog! I enjoy reading it and thank you for helping me choose what films to seek out at the Cinematheque!